Invoices can be archived whenever necessary. It is up to the studio to decide when and how often to archive invoices. However, only FULLY PAID invoices will be archived. If there is any balance on the invoice it can not be archived. 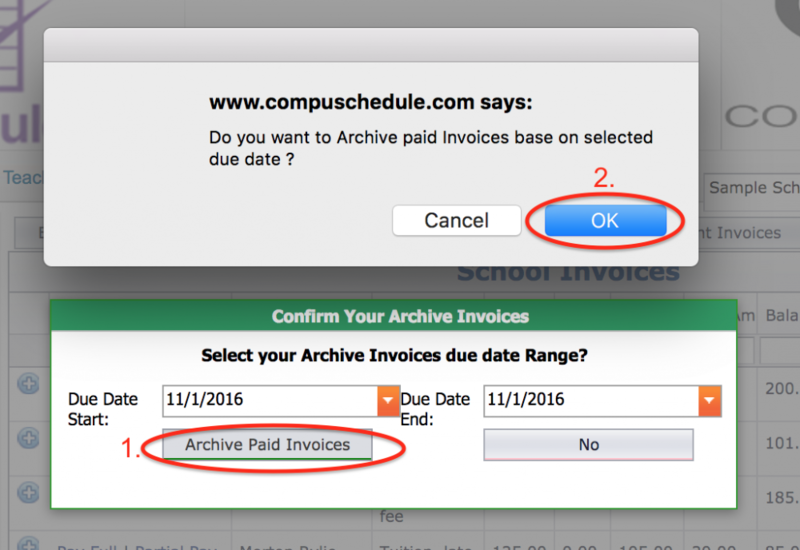 Determine the date range of the invoices you want to archive. The Date Range refers to the invoice due date. Enter the desired Date Range and hit the Archive button. You will need to confirm your selection. To view archived invoices, go to Billing menu, View/pay invoices. From left side menu, click on View Archive invoices.